Following a dip last month, housing starts rebounded in May, up 5 percent to 1.35 million from the revised April estimate of 1.286 million, according to recent data released by the U.S. Department of Housing and Urban Development and the Commerce Department. Meanwhile, single-family housing starts jumped up 3.9 percent since April to 936,000, the second-highest reading since the Great Recession, according to the National Association of Home Builders. Multifamily starts (five units or more) dropped slightly to 404,000. Permit approvals fell 4.6 percent since April to 1.3 million; however, they are still 8 percent above the May 2017 rate, according to the data. Approvals for single-family builds were down 2.2 percent to 844,000 permits, and multifamily approvals came in at 421,000. As for completions, rates bumped up 1.9 percent from April to 1.291 million, with single-family completion rates rising dramatically—11 percent from April numbers to 890,000. Multifamily completions came in at 389,000, down 14.1 percent from April rates. 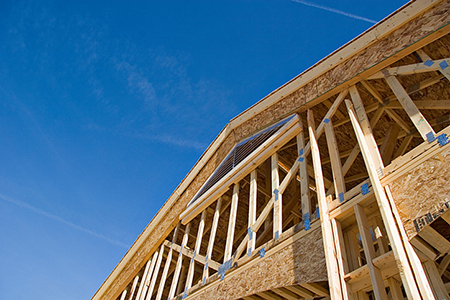 “We should see builders continue to increase production to meet growing consumer demand even as they grapple with stubborn supply-side constraints, particularly rising lumber costs,” said NAHB Chairman Randy Noel.